It's funny how lessons develop in our house. This science lesson all stemmed from a free book in a kid's meal at Chick Fil-A. On the way home from lunch that day my son was very interested in the the book he had received. 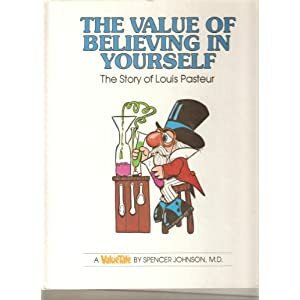 We loved the Value Tales book about Louis Pasteur - Believing in Yourself. We also have the Value Tales book about Will Rogers - The Value of Humor. These books are so well done and offer a glimpse into the young lives of famous people - and then offer very interesting in depth information at the end of each story. You can see the entire treasure by clicking here. After reading the Louis Pasteur book, we decided to look up more about this scientist. It turns out his first work wasn't done with milk - it was done with BEER. I've downloaded a unit study about Pasteur which we will work on this week while my children are interested in this. I loved going to the grocery store last week and it was like they had seen someone famous when they saw the words "Pasteurized Milk" on the milk we were buying! I love the many little rabbit trails homeschooling lets us explore... there's just so much to learn! What's been going on with science in your homeschool recently?